Jerry Roy Wood, age 77 of Ava, Missouri passed away Tuesday, October 30, 2018 surrounded by his loving family and while admitted as a patient at Barnes Jewish Hospital, St. Louis, Missouri. He was born December 5, 1940 the son of Roy and Fern ( Davis) Wood. During the Summer of 1959, Jerry and Sharon graduated from Ava High School as a dating couple. After graduation Sharon and her family moved to California, approximately 4 short months later Jerry made the trip to California with a wedding ring and made his proposal to his high school sweetheart. On December 16, 1961 Jerry and Sharon(Sellers) were united in marriage. 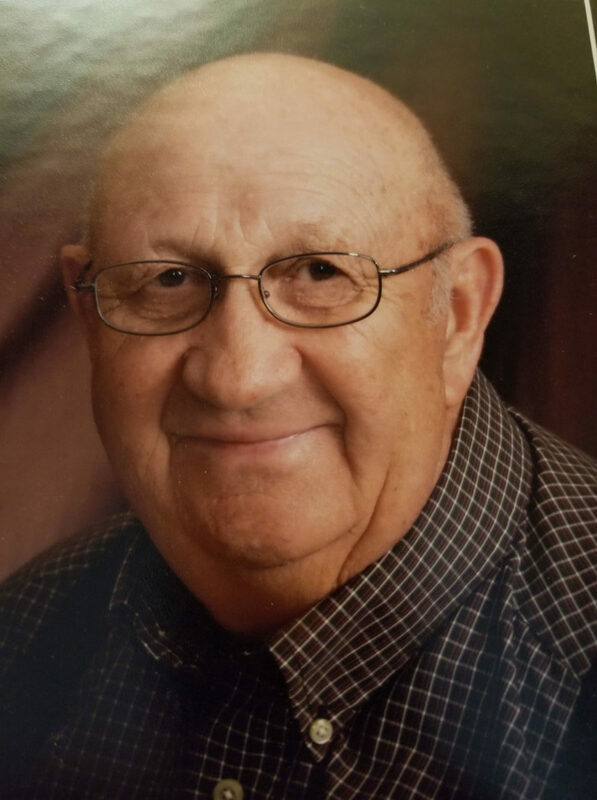 Jerry was a longtime Douglas County resident and well-know business man. Early in his career Jerry attended Automotive Mechanic and Repair School in Kansas, City and completed his certification. For 16 years he enjoyed the manager position at the Ava Texaco station. Later, Jerry was owner and operator of his own automotive mechanic repair business and farm implement sales until his retirement in 2003. Jerry was also a family man that centered his life around his children and grandchildren. In his spare time he enjoyed numerous fishing trips, hunting and working on his farm. Jerry is survived by his loving wife Sharon; sister Teresa Stillings and husband Leroy; son Steve Wood and wife Regina; daughter Lisa Jenkins and husband Jerry; grandchildren Tyler Wood and fiancé Jennifer Stewart, Cally Parker and husband Ely, Brandon Jenkins, Kaitlyn Jenkins; great-grandchildren Blair Wood-Oxley, Beckham Parker, Brynn Parker, Baylor Parker, Jackson Stewart and Kaityn Stewart. Jerry was preceded in death by his parents and one sister Judy Lakey. Our thoughts and prayers go out to the entire family. Throughout this time of grief and loss may your hearts and minds be drawn to the happiest of times with and memories of Jerry. While we only had the opportunity to personally interact with Jerry a few times, we always felt like we knew him well through the stories the Jenkins (i.e. Lisa, Jerry, Brandon, and Kaitlyn) would share with us. Sharon,and all the family thinking of you . We have had lots of good times together Birthday parties, special times we celebrated together. Sharing our grand babies . Jerry, was a special guy going to be missed. Love and prayers for all of you. Like everyone else, I’m thinking, “This can’t be;” I’m so very sorry. Wish there was something that I could say or do for you. I am remembering Jerry and praying for you. I know how hard it is. Remember we are assured, “God’s grace is sufficient.” And, yes, I must admit, I sometimes question this. It’s hard to know for a certainty that we are on “God’s Time Line.” Yet, we find that He never leaves or forsakes us. I remember well Fern’s prayers for all of her family. Thinking of all of you with love and prayers. I’m so, so sorry for your loss. Thinking of you with love and prayers. Becky and I send our condolences. I have a lot of good memories of Jerry putting up with us crazy boys as teenagers. God be with you and comfort you. Sharon and Family, I`m so sorry for your loss, Praying ! Our thoughts and prayers go out to the family, Jerry will be missed but he will always be in your memories and heart. Sharon and family there really aren’t any words that will help much in these situations time will help with the pain the only hope for all of us is to trust in the Lord and he will give us comfort in him is all of our hope if anything we can do to help you we would be glad to .